Maintaining balance between work and private life in nowadays fast-forward and ever-changing world is no more a piece of cake. There is no one-size-fits-all recipe for how to achieve work&life balance. In fact, there are many ways in which the balance may be achieved and those vary from individual to individual. And yet, somehow, employees of Procter&Gamble, a company known for making every day products that make our lives easier, have found their own way of getting from the “work” to the “life” part of the equation. Their getaway is sport. They chose the most popular game among all sports, that is - football. Every once in a year, for more than 20 years, P&G employees from all over the world, no matter their position in the company, are meeting to compete in their own Football World Cup tournament. Every year participants themselves decide which country and which city they’re going to play in. A year ago the host town was Lisbon. Before that the tournament was hosted by cities like Vienna, London, Rome and Paris. First edition took place in 1992 in Frankfurt. Few days ago the tournament that was attended by over 750 participants form 25 countries was held in Wroclaw, Poland. - We are very happy that this biggest sporting initiative of Procter&Gamble employees had a chance to be organized in Poland, specifically for the first time in Wroclaw. Being born and raised in Wroclaw myself, I am very proud that the event can be organized right here – says Krzysztof Kopertyński, CEO of Road to Sport, sports agency that was responsible for organizing this year’s edition of the P&G Football World Cup. – Both men and women competed in the tournament in respective categories. For us, organizers, the countries that players are from don’t matter. What matters to us are players being signed up to a single group that will compete as one team during the tournament. Such a solution is supranational. It allows players from all around the world to integrate and gives the chance to participate to those who didn’t manage to gather people from their workplace to create a full team. And so, for example, in this year’s Wroclaw edition we had a team combined of players from England and Spain as well as teams performing as “Northern Europe” that were represented by players from the United Kingdom and all Nordic countries. Fields of play for 25th P&G Football World Cup were provided by the University School of Physical Education in Wroclaw and the Youth Center of Sport. Nearly 200 games were played at 8 fields over the period of two days of the tournament. Everyone could watch games from stands and cheer for his or her favorite team. Whoever came to watch had a chance to see plenty of beautiful goals and plays. - Tournament has no age limits. Willingness to play and having fun is what matters most, but ability to kick the ball more-less straight is an asset as well – laughs Krzysztof Marchlewski from the Warsaw’s office of P&G. – This is my 7th World Cup. First time in Poland, first time at home. I’m glad we chose the beautiful city of Wroclaw . 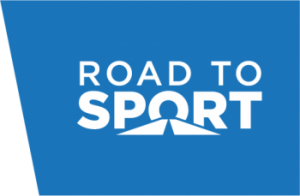 We’ve put our trust in Road to Sport agency and… we didn’t get disappointed. We’ve played in Vienna and Barcelona. We’ve played at Steaua Bukarest and at Sporting CP venues. Considering organizational and sport level as well as tourism opportunities Wroclaw by all means holds a candle to those places. Besides tournament itself, plenty of city sightseeing opportunities or things like Grand Polish Revel were awaiting players and participants. – Organizing an event so that people from all around the world have fun, get a chance to know Polish tradition and feel comfortable in totally new places is not a walk in the park. I think we met the challenge, delivered awesome product and showcased to next organizers what they should take into consideration. It was great experience for all of us – CEO of Road to Sport, Krzysztof Kopertyński, convinces. Positive feedback for this year’s edition organizers is coming from far and near. This event shows that there is huge potential for branch of sporting events in Poland. Recognizing 25th P&G Football World Cup as a huge success, let’s add that main trophy in the men’s tournament went to team Croatia while the winners of the women’s competition were the Les Ficelles Picardes from France.